Hope that you can join me for another great program as we spotlight Soul Lounge, the latest release from Slim Man & Bona Fide. We'll tell you a bit about Slim & the boys & we'll spin a trio of tracks from that album as part of the showcase feature. Then in hour two we're back with more Back Trax. This time our trip down memory lane includes great golden listening from Richard Elliot, Chris Camozzi, & Lee Ritenour. We've also lined up music from Lonnie Liston Smith and Steve Allee. These are all past favourites on our show, so I know it's music that you're certain to enjoy. Nonetheless, our two hour musical celebration is a nonstop highlight package ... Marc Antoine, Kevin Toney, & Walter Beasley are just just some of the artists that are featured as part of our exciting line up! 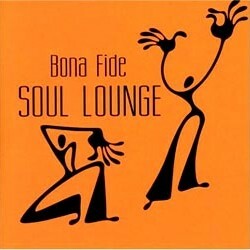 Bona Fide is the creation & musical alter ego for the smooth jazz crooner known as Slim Man. Tim Camponeschi is the man behind the project. For a time, Camponeschi worked as an in-house writer at Motown & then in the 80s he MC'd a traveling country music talent contest. That was when he picked up his unusual moniker. When asked how he had registered at a local hotel, Camponeschi replied "slim chance" that he would give his real name since he'd had experiences with unhappy contestants venting their frustrations when they knew where to find him. In time that reply became "Slim Man". 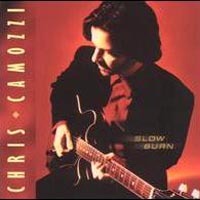 After a few efforts fronting a rock band, Camponeschi launched his solo career as The Slim Man with his debut in 1995. He had five releases as the Slim Dude & gained an avid following with his love struck ballads. Nevertheless, the changing 'musical climate' in radio found the sound of the Slim Guy on the outs toward the end of the decade. In any event Camponeschi connected with a few friends in & around the Baltimore area back in the late 90s and has found broad based success as a member of the hip and funky group known as Bona Fide. 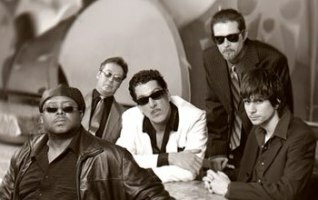 In 2001, Slim and the boys were named the top new group in Smooth Jazz and what began as a trio on their 1999 debut has evolved into five-piece combo. The current line up includes Slim Man on bass & production, George Hazelrigg on piano (replacing original keyboardist Joe Ercole) , drummer John E Coale, Howard Zizzi on percussion, & saxman Kevin Levi who remains a band member in spite of relocating to California. Remaining true to their mantra of delivering a grittier & funkier brand of music, Soul Lounge maintains the Bona Fide tradition. On this their debut on the Heads Up record label & their third release overall, Bona Fide continue to tug at the boundaries of their unique brand of jazz infused chill. In that regard, Soul Lounge is an on the mark description for the project. For his part, Slim Man has spent a lot of time in Europe and has become very familiar with its "lounge & chill" scene. However, they are not mere clones in that style. Rather, what sets Bona Fide apart from the rest is the warmth brought to their music by Slim's grounding in Smooth Jazz and by the band's use of live instrumentation instead of simply relying on loops, synthesizers & such ! Nevertheless, on this occasion we're starting with a slightly more melodic piece entitled B. More Knights & one that's highlighted by the piano work of Joe Ercole. The Journey, cool & relaxed kicks off hour two & the funky dance rhythms of Bona Fide Club conclude the feature! The Elliot family moved from Glasgow to LA when Richard was only three. He began on sax in junior high & took to it quite naturally. However, Elliot didn't consider a career in music until he discovered that his high school music teacher also did some moonlighting as a studio musician. At seventeen Richard landed his first professional gig touring with Natalie Cole and The Pointer Sisters. For a time he played in a fusion band called Kittyhawk; that was followed by a few session with some legendary Motown artists, among them Smokey Robinson, The Four Tops and The Temptations. Elliot then enjoyed some touring & recording with The Yellowjackets, that was followed by more touring with Melissa Manchester. 1982 proved to be a pivotal year in Richard's career as he joined Tower Of Power. Elliot fondly recalls the five years he spent with the ensemble as being most influential in his early career. While with TOP, he played on a couple of Huey Lewis albums & in 1986 he released his own debut. The success of that effort was all the encouragement that he needed to begin his solo career. In the time since, Elliot has been a consistent chart-topper and has become one of the most recognizable artists in a genre that he helped pioneer! 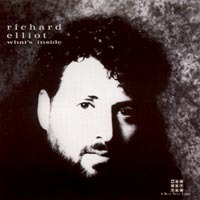 On this occasion we're ravishing 1990's What's Inside and what was already his 5th solo release. From that effort we present a long time Café Jazz favourite! Allee was enrolled in the Indiana School of Music when he accepted a six-night-a-week gig in order to support his young family. After a year of late night commuting and skipping classes Steve decided to become a full time musician. Thru a friend, he landed a spot with Buddy Rich but shortly thereafter, he got the word he'd been drafted. After his tour of duty, Steve got right back into music and among other experiences, he played with a 'big band' for about eight years. In 1988, Allee was asked to record piano for a local radio program called The Bob & Tom Show. One thing led to another and he became the musical director for the program. Over the years, the show has grown and it presently airs in over 100 markets throughout the US. As for Allee, well he's been with them ever since! Nevertheless, for a period in the 90s Steve dabbled with a contemporary sound as he connected with Tom Borton in Los Angeles. Borton produced The Magic Hour which was Allee's solo debut. The title track proved to be a popular tune at smooth jazz radio thruout a good part of the mid 90s! Although the thought of relocating was always very tempting, Allee has remained in Indianapolis, where he's as busy as he's ever been. In addition to his responsibilities for The Bob and Tom Show, Allee regularly performs at local venues with his own 16-piece big band. 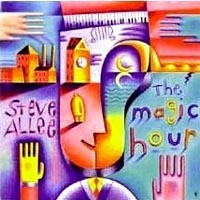 He's also appeared at a variety of jazz festivals on both the national & international level and although he's had a couple of other releases, The Magic Hour remains the one for which he is best known. In any event, from that effort, we have the excellent title track! One of San Francisco's top musicians & producers, Camozzi grew up in a musical family and took up guitar at the age of seven after seeing The Beatles on Ed Sullivan. During his high school years Chris earned the top guitar spot in the "Professionals of Tomorrow" jazz band. After graduating he played the Reno, Tahoe, and Vegas circuit while picking up the bass, synthesizers and drums as secondary instruments. After returning to the Bay Area, Camozzi for a time hooked up with Marty Balin, the former vocalist for Jefferson Starship. He then took part in a variety of freelance projects and eventually turned to studio work where he became an in demand as a session musician. He played on radio and TV commercials; he appeared on albums by George Benson and Whitney Houston; and he performed on a couple of major motion picture soundtracks. In the early 90s, Camozzi left the relative security of that environment to join Michael Bolton and then Mariah Carey on tour. In 1996, he finally issued his solo debut and in all he's released a trio of well-received projects. Nevertheless, in recent years Chris has chosen to focus on session work & producing other artists among them Victor Fields and Nicolas Bearde. In any event on this occasion, we return to 2001 and Slow Burn, Camozzi's 3rd release. It remains his most recent effort and arguably represents his finest solo work to date! From that album we have the smooth & sophisticated sounds of the opening track! Smith has sometimes been confused, namewise at least, with the organist Dr. Lonnie Smith. Now in his mid 60s, Lonnie Liston first started getting a lot of work as a jazz pianist in NYC in the 1960's. He began his career as a sideman and played acoustic piano for such greats as Pharoah Sanders and Gato Barbieri. However, when Miles Davis hired him as an electric keyboardist in the early 70's, the experience influenced Smith to turn instead to fusion. In 1973, he formed the Cosmic Echoes and released Astral Traveling his acclaimed solo debut. 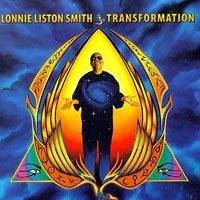 The unique atmospheric fusion / soul and funk mix that Smith presented on that release and others during the next 17 years or so, caused many to suggest that if anyone bridged the gap between John Coltrane and Earth, Wind & Fire that someone would have to be Lonnie Liston Smith. And although Smith is still writing and touring, his record output has slowed somewhat in recent years. With that in mind, on this occasion we returned to 1998's Transformation and what remains as Smith's most recent effort to date. From that album we have the totally soothing sounds of Quiet Moments, another long time favourite here at the Café ! Over the course of a nearly four decade career, the man that's known throughout music as Captain Fingers, has established himself as one of the world's leading jazz guitarists. The LA native took part in his first sessions at the age of 16 with The Mamas and The Papas. A couple of years later Lee was already backing luminaries such as Tony Bennett and Lena Horne and it wasn't too long before he became one of the most sought-after sessionist of the mid-70's. In that capacity Ritenour has amassed an extensive list of credits, a total that reportedly comes in somewhere over 3000 studio appearances in all. 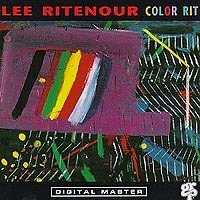 During his early days, Ritenour was heavily influenced by Wes Montgomery and Joe Pass. Over the years however, Lee has developed his own distinctive sound and style. In 1976, he launched his solo career at the age of 24, and to this point he's recorded a rather impressive catalogue of over 30 albums and collaborations. Along the way, Ritenour has received 17 Grammy nominations. He's recorded several gold albums, he's been named #1 in guitar polls on numerous occasions and he was also awarded "Alumnus of the Year" from USC. With that sort of a resume, it's tough to limit ourselves to just one track, yet I think we did well with the one that we selected as we went to the GRP years and one of Lee's finest efforts. From 1989's Color Rit album, we have Bahia Funk which features the sax work of Ernie Watts. Yet it's the man that's known throughout music as Captain Fingers who is indeed the star of the show! Thanks for connecting with the After Hours portion of the show! On this edition we're spotlighting music from Kim Waters as part of our T&N feature. There's more from Turning Point, Joe McBride, & Jason Weber as we further explore each of their releases. We're introducing Michael B Sutton and we also have never before been played on our show tracks from Rick Braun and Jay Soto. But to get things going, we have something brand new from the guitarist who records as Javid. From his Silk Roads release, the mellow sounds of Paz Y Amor get us right into the great grooves of After Hours ! Kim Waters: Waters is a native of Maryland and was born into a musical family. He picked up his first instrument, the violin, at the age of eight. But at 13, when he discovered the sax, he felt he had found his calling so he ending up switching to it. Not long afterwards, he started up a band with his brothers James and Eric and a few years later, he launched his solo career. When Waters first appeared as a recording artist in 1989, he found support for his music on R&B and Urban radio. He did however, score a modest hit with Sweet & Saxy, the title track and its crossover smooth jazz appeal. And, although he released a series of projects over the next few years, things didn't really get into high gear until the issue of Love's Melody in 1998. That album was already Waters' ninth and yet it marked a slight modification of his style as Kim took his music in a smoother direction. The album peaked at #10 for the year, yielded the smash hit Nightfall, and paved the way for Waters as a smooth jazz artist. Now with a total of 14 releases in the course of his 16-year career Waters has scored ten #1 hits and has sold over a million records, placing him among the top 5 best selling instrumentalists in the genre. In recent years Kim has also enjoyed considerable airplay on Urban radio with projects such as Streetwize and Tha' Hot Club. Our focus however, remains his works as they relate to smooth jazz . As such, we've selected a six pack of tracks that we feel well represent some of Kim's best efforts in that regard. In order, they are the aforementioned Sweet and Saxy and Nightfall. To that we've added Hudson River Nights, After Midnight, Tell Me So, and Steppin' Out from his current release. Those are taken from the above albums respectively and taken collectively, they constitute a great Then & Now feature!